I’ll start this review with an advertisement…because if you’ve ever been curious about what life is like in North Korea, then this book is for you. It’s a surprisingly good YA story about one boy’s life and eventual escape from the famous country, without all of the extra fluff of today’s memoirs. Sungju is the only child of a military leader of the North Korean army. Eventually the country’s leader, Kim il-Sung, dies and his family is forced to leave the capital city of Pyongyang. 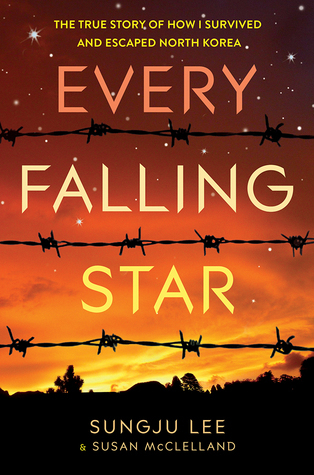 They move to a rural town, where a famine sets in and his parents leave him to find food. Desperate and alone, Sungju joins a local gang and begins to hustle on the streets for the basic comforts of life–food, shelter, clothing. It’s a really heartbreaking story, and one still ongoing, so there are parts that even Sungju can’t completely tell (several key details are left out to protect family members who still live in North Korea and may be in danger by him sharing this story). It’s also totally appropriate for a YA audience. So many interesting tidbits here too. Did you know that they consider their leader to be a god? That you can be executed for stealing or attempting to escape? Wow! Exceptional YA nonfiction story, definitely recommend! It’s been a while, I know. With my second year going and the semester drawing to a close, I haven’t had as much time for this site as I should. I continue to read, but because I’m picky about what I post here, you guys only see about 75% of what comes across my reading pile. This book has been getting a lot of buzz in literary circles this fall and after reading it, I definitely understand why. It is well written, finely characterized, and it’s an excellent story. In short: the hype around this book is well deserved. 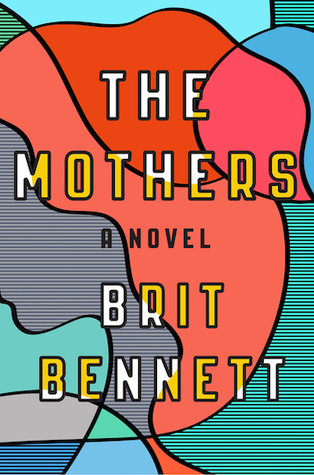 “The Mothers” centers on Nadia Turner, a beautiful 17-year-old African American girl whose mother has recently committed suicide. She hooks up with the pastor’s son, Luke, and soon after, discovers that she is pregnant. Nadia has an abortion, Luke pays for it, and the two teenagers subsequently move on with their lives. Nadia hides this secret from everyone, her father, her church, and even Aubrey, her tightly wound best friend. The novel then follows Nadia, Luke, and Aubrey through the next several years as this trio find themselves caught in a trio of secrets, lies, and heartbreak. The plot to this book is solid and the writing is sharp. The only criticism I have is at the beginning of each chapter, there is a soliloquy narrated in the first person plural by the ‘mothers’ of the church in which Nadia, Luke, and Aubrey are a part of. Even though I liked it, these parts of the book didn’t work as well as the rest. Otherwise, definitely a solid offering from Ms. Bennett. I will definitely be watching for her work in the future.